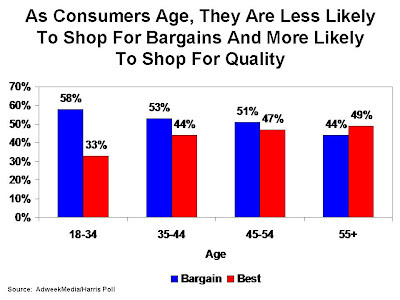 "Getting the very best product or service"
Women and younger consumers are much more bargain conscious. However, a substantial number of consumers buy the best, regardless. How can you find out what people want? It's simple. You ask them. In today's economy, everything is uncertain, including the sales process. Don't rely on what worked robotically in the past. Ask questions. Qualify. Trial close. So what happens when you have a “Super Tech” who just will not buy into the program? I honestly feel that you must get them onboard quickly, or they must go. If not, and it is allowed to fester any length of time, it will end up badly, guaranteed. To me, it boils down to that old adage of trying to have a leopard change its spots, it just does not happen very often. I can really relate to this very same issue, as a few years ago I hired an old friend of mine that I had worked with some 30 years in the past. He had who had all of the trade skill qualifications you would want in a Service Tech. He could do Plumbing, Hydronic and Forced Air Heating, as well as A/C. He had been in business for himself for 25 years or so, and was totally burnt-out and done with the headaches of being in business. He maintained that he was ready to work for someone else, and was ready for a change. He was also a dyed in the wool T & Mer, and had some questions about sales in general, as well as the Flat Rate business system. In order to insure he was comfortable and it hiring him would work for both parties, we met several times and spent quite a few hours going over just what was expected of him if he came to work for us, and in the end, I really thought we were good to go. However, it turned out he just could not accept our program no matter what was tried. In addition, he did not get along with my oldest Son who was managing the company. He soon became incorporative and sullen, and was not the least bit interested in trying to become part of the team, which was causing all kinds of negativity and distractions for the entire company. So much for having all those skills and knowledge, it just proved that if someone is not happy and unwilling to buy into what management is selling, it will not work. So after all of this past history, time, effort, and pre-planning, what happened? When he was hired, I had just turned the business over to my sons, and was no longer involved in the day-to-day operations. Therefore, he had to work for someone who was 25 or 30 years younger than him, which as it turned out did not set well with him at all. I believe he also expected me to get involved and override my Sons, but I refused to do so. I had decided some 20 years or so earlier to empower my sons as tradesmen, since they had started out at the tender age of 14 and had grown into above average Journey level Plumbers. Then, when I retired, I had to empower them to take over and run the business I had stated out of my garage in 1975. This was an entirely different kettle of fish, as the business had been my life for some 30 years, and giving up complete control of it was one of the hardest things I ever had to do as an owner and father. However, I realized that if the company was ever going to grow and succeed without me at the helm, it just had to be done. I was determined to let them have a free rein, and not second-guess and interfere their decisions just as I had done with their work in the field earlier, and trusted them to seek my advice or help if they needed it. So why did I do the empowerment thing in the first place? One day my oldest son Gary who had worked for the company 10 years or so, came to me and said something like “Dad, you have to stop being angry all of the time, and let us do our work without second guessing everything we do”. It is no fun working here, and if you cannot stop how you treat us and yourself, I am going to quit”. This really shocked me, until I thought back to when I worked with my Dad, and guess what? He did the very same things to me, until I finally quit. I decided that very day to stop second-guessing and micromanaging everything they did, as well as getting up-set over every single little thing that went wrong. I really started working on trying to stop letting things I could not control, control me, which is for anyone who has tried it, much easier said than done. Later on, when I started working with other companies about crunching their numbers and switching to Flat Rate, I started seeing firsthand how some owners/managers were not letting people be free to do their jobs. This environment makes the workplace a miserable place to be at best. It gets real ugly when family members are involved, and when favoritism is shown too them over the other employees. I feel management is very simple; everyone needs to be treated equally and fairly in a calm and consistent manner. If not, it will always have all kinds of strife and turmoil within the ranks. I firmly believe that constant meddling and/or favoritism by management will end up destroying the morale of any company. Think about it, if you cannot trust someone to do their job without constantly nit picking and interfering, then why are they even working there? If you allow such conditions to exist under your watch, it just proves you are a bad manager, pure and simple. The final result of this Super Tech thing was my Son called me and said it was just not working, and since he was a friend of mine and I hired him, as a favor could I talk with the him and see if I could try and get things resolved and maybe back on track. However, after a very short and awkward meeting with my old friend, he said he was done and moved on. Looking back, I realized I probably forced his hiring, even though I saw some red flags going in. I was so jacked about having someone who could do so many things in the field; I failed to really ask myself could he actually be expected to change his very work culture for the past 40 years? In his case, he could not, and I believe in most cases like his, the result would be the same! The problem is, this experiment cost the company a lot of money and unnecessary stress. As a result, I resolved in the future to try to make all my decisions based on reality, not on what I hoped and wished for. As far as empowerment with your family members is concerned, I offer that perhaps a few heart to heart discussions might help it get started. You never know when a break-through will occur; you just have to keep banging on the door. I am forever grateful my son did just that. This is a great video for a Monday morning. It shows how everyone can make a difference. It shows how an attitude of service can permeate an organization. Just as one person can poison an organization, one person can inspire those around him. In the 1940s and 1950s, with the thermometer reaching the 90s, you’d get off the bus in downtown Anderson (bus windows usually were open to capture whatever breeze there was) and head for the nearest dime, drug or department store. The doors would be propped wide open, and when you entered you’d notice giant ceiling fans rotating lazily to stir up the stagnant air as customers and clerks alike mopped their brows to wipe off the perspiration. Few public buildings had air conditioning. Many church buildings equipped their hymnal racks with cardboard fans, and parishioners hoped the preachers would keep their sermons short. Air conditioning was unheard of in schools. I'm old enough to remember the drug store in downtown Tallahassee promoting the fact it was air conditioned, courtesy of Kool cigarettes. "Come in. It's Kool inside," proclaimed stickers on the door. Some of my friends lived in homes lacking central air conditioning. 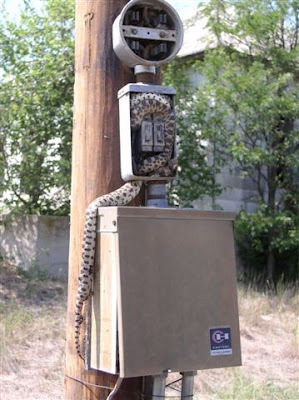 We tended to cluster in the small TV room with a window rattler during the summer. Today, air conditioning is a necessity, not a luxury. Yet, for many Americans air conditioning is becoming less affordable. 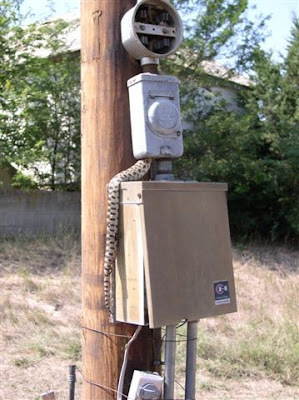 As the government imposes mandates over fear of ozone depletion and the quixotic quest for ever higher efficiencies, no matter how lengthy the payback, some Americans may find themselves returning to the days of window rattlers in the bedrooms and family room during the summer months. Why Aren't You Cross Marketing? In the late 1980s, Vicki La Plant started encouraging contractors to cross market with local, non-competitive businesses. In essence, contractors cross mail to each other's mail lists. They pass out coupons for other companies on service calls, refer each other, and find other ways to help each other, reducing marketing costs. Think of cross marketing as business networking taken to the next level. Cross marketing can be expanded beyond in-home service businesses. The late Tom McCart once persuaded a pizza delivery company to tape coupons for one of his clients on their pizza boxes. In exchange Tom's client passed out pizza coupons and menus on service calls. Virginia contractor, Dean Thomasson, used a similar approach when he worked an arrangement with a local fast food restaurant. The restaurant inserted coupons for Dean's company on drive through orders and Dean passed out coupons for free sandwiches on service calls. Anyone who flies and browses through the airline magazines has undoubtedly encountered ads for the "Great Steak Houses of North America," sponsored by the Independent Retail Cattleman's Association, which appears to be little more than a restaurant marketing alliance run by a Nashville marketing guy. Yet, its endurance is a testament to its effectiveness through the years. Increasing marketing effectiveness is the reason for cross marketing. Your effectiveness will be best when a high degree of trust exists between the customers of the different companies. 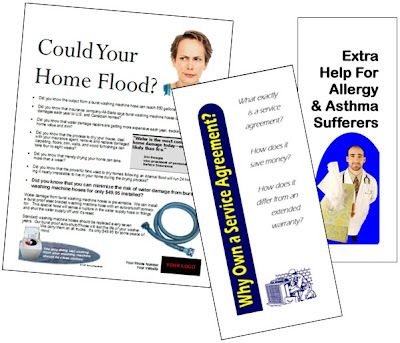 When Houston's Hallmark Air Conditioning and Jarrell Plumbing cross mailed to each other's customer lists recommending a service agreement from the other company, it was the single best direct mail initiative the companies experienced. This makes sense. Depending upon the survey you reference, the number of homeowners who locate service companies by referral runs around 70%, making referrals the number one source of lead generation. Additionally, people tend to assume contractors know who the good contractors are in related trades. Combine the tendency to rely on referrals with the belief that contractors have inside knowledge, add a trust relationship with the referring contractor, and the response rate should be the best experienced. At the Service Roundtable we've encouraged contractors to form marketing relationships with complementary companies. To make it easy, we've created marketing pieces like flyers and magnets promoting the "Distinctive Service Companies" of your town. We've creatred mail pieces like the one below. If the Service Roundtable doesn't serve your industry or, for some reason, you don't want to join the Service Roundtable, create an alliance on your own. This is what Jim Ritter of Transworld Electric did in Charleston, SC. He assembled a home remodeling company, kitchen remodeling company, heating and air conditioning company, plumbing company, and pest control company to join his electrical contracting company as the Elite Home Connection. So far, the Charleston group shares a one-page website linking their companies and a phone number for consumers. Presumably, the call center is an answering service with call forwarding to the appropriate company. More joint marketing may follow, with the cost for each company equal to one sixth of the burden of the cost of marketing independently. Cross marketing is a proven winner. It increases marketing effectiveness. It reduces expenses. Why aren't you cross marketing? An air conditioning contractor stops by to check on an installation. He hadn't planned on stopping, but the homeowner is glad he did. While checking the thermostat, the homeowner collapsed. He was having a massive heart attack. The contractor immediately started performing CPR, restarted the homeowner's heart, and kept him alive until the paramedics could arrive. Is the contractor a hero? You bet. But what if he hadn't had the training? What then? Fortunately, we'll never know. However, we can take a lesson from the story and arrange for CPR training for our staffs. This is a somewhat bizarre presentation on advertising mistakes that's dead on. Despite its weirdness (maybe because of it), I like it. Give it a look. Believe it or not…your customer really doesn’t care if you know everything there is to know about the product you are recommending. So you can tell your customer all about R-410a, TXV’s, copper coils, scroll compressors, etc… Guess what…so did the other three contractors who came to their home. What did you do to set yourself apart from the other contractors? Okay…you did a load, you sized their duct system, and you showed them your presentation book…so did a couple of the other guys. So when everything is equal, how will the customer compare you to the other sales reps? If you didn’t give them something different they will compare everyone based on the equipment and price on the four proposals they have and let’s be honest, the way things are going today you are probably 10 to 20% more than the lowest guy. So what can you do to be different? What most people want is someone who cares about solving their problems, not someone who is going to teach them all about HVAC. When they sit down to compare the proposals they received who will stand out? The three guys who spent an hour talking about the box they plan to install or the one guy who spent an hour asking questions about their lifestyle, their home, and their comfort level, and offered up a solution to their individual needs which will make their life better? It may sound strange but you need to stop selling and start making friends. People buy from people they like...and trust. A year from now the customer probably won’t be able to tell you the brand of equipment they installed or about the two-stage compressor in their unit or the variable speed fan coil. What they will do is tell all their friends about the guy who made their life better. Not how their bills are lower but how they can now afford having a "date night" again with their spouse. Not how the upstairs cools better but that they can finally sleep through the night and are not grouchy every morning because they had to sleep on the couch in the basement to keep cool. Stop selling boxes and start offering solutions. The notion of bringing your sink to a plumber’s shop is clearly ridiculous, but it heightens one of the key differences between in-home service companies and fixed location retailers. We go to the homeowner, not the other way around. Moving people, trucks, tools, parts, and equipment from the shop to a homeowner’s location is a significant part of the cost of service, repairs, and installations. It stands to reason that the more things we can do after positioning the people, trucks, tools, parts, and equipment at the home, the more efficient we can be and the more the homeowner can save. We can encourage homeowners to do hire us to do more by bundling products and services together for a discount. The homeowner pays for the cost of logistics with the first repair, allowing us to discount additional work and assemble bundles. Point out the savings from the bundle by labeling the bundle as the “best value,” which it is. A simple way to accomplish this is by printing a page of the stickers and simply, peeling and sticking them on existing invoices, literature, proposals, etc. Invoices are presented at the end of a repair. This is often a point of relief for consumers. The repair is over. The total is known (even if the repair is flat rate, it’s still the source of relief). With the anxiety of uncertain expense known and the work completed, homeowners are open to the consideration of additional products and services. The invoice represents a great place to market them. Stop thinking of invoices as mere “work orders” or “forms.” They should be marketing pieces. They should be “designed” with the consumer in mind, not the technician. Make them attractive. Spend a few cents more to add color. Give invoices life with images of people (i.e., your target demographic). Add promotions for common accessories to you invoices. Sometimes these can be as simple as check boxes for system accessories that make it easy for the technician or plumber to talk about add-on sales opportunities. He’s required to discuss these because he’s following a procedure and checking it off as he goes. Build-in coupons for savings on the spot. Add bounce-back coupons to encourage homeowners keep the invoice on file and call you back in the future. If you’re sitting on a stack of 20,000 invoices you purchased for the bulk savings and can’t bring yourself to discard, follow the sticker approach. Print stickers with special offers or bounce-back coupons and add these to the invoice. When selling top end equipment, such as a salt water pool system, rapid start light ballast, tankless water heater, or high efficiency furnace, guarantee performance. For example, you can guarantee that a furnace will heat the home to 72 degrees when it’s 10 degrees outside (or whatever your winter design temperature happens to be). What are you really guaranteeing? Nothing. You’re simply guaranteeing that you can size a furnace. If you’re selling furnaces and can’t size them, maybe you should find employment in another field. Why guarantee something basic, like performance? You make the guarantee because your competitors are afraid to match it. I don’t know why. I’ve never met a contractor who wouldn’t pull an undersized furnace and replace it with a higher capacity model if the salesperson blew the load calc. If you’re going to do it anyway, put it in writing and take credit for it. By limiting the guarantee to top-of-the-line equipment, you’re encouraging nervous homeowners to step up. It’s a better product. It carries better guarantees. It’s a safer purchase. Similar to a performance guarantee is a money back guarantee. Offer to give the homeowner a full refund for any reason within the first year. The most telling fear I hear from most contractors is that a homeowner will price shop after the fact and demand his money back because another contractor will perform the same work for a few hundred dollars less. Let’s assume that happens. What’s involved from the homeowners’ perspective? Someone must come out and remove the water heater, pool filter, furnace, or air conditioner, leaving the homeowner without the products until the competitive contractor arrives with the replacement and can perform the installation. This is a LOT of trouble. A homeowner must have near unlimited time and patience on his hands to go through two back-to-back replacements. The customer came from Hades and it was worth nearly any price to send him back. In either case, the contractor would have acted no difference without the guarantee, so why not put it in writing and take credit for it? You’re not promising anything you wouldn’t do anyway, but you are making a promise you competitors will fear to match. Limiting the unconditional money back guarantee to top-of-the-line products gives homeowners one more benefit from buying up. Think about it, enough people buy extended warranties from consumer electronics companies that their sales personnel keep offering them. People pay directly, out-of-pocket, for peace of mind alone. How much more valuable is greater peace of mind when coupled with better performing products or products with more features? Two calls come in, nearly simultaneously. Call A is a no-cool call from a homeowner with a five year old air conditioner, that’s just out of warranty. Call B is a no-cool call that comes from a homeowner in a 15-year old home who is unsure of the age of the air conditioner, but wouldn’t be surprised if it was the original from the time the home was built. You’ve got one truck available, equidistant from the location of Call A and Call B. Which call gets priority? Obviously, Call B. Call A probably represents a bad capacitor, bad contactor, low charge, or some other issue that will result in an average or below average revenue call. It’s good work and you want it, but not as bad as Call B. With Call B, there’s the potential for a more serious repair, possibly one that necessitates a full system change out. It might result in thousands of dollars of revenue. But what if Call B comes in one hour after Call A? You should dispatch in order the calls were received. And homeowners should only call one company. In reality, many homeowners will call half a dozen contractors to see who shows up first. The rest are cancelled, whether en route or not. In this environment, I’m going to chase the call with the greater potential first. Let’s complicate it further. What if Call A is a service agreement owner’s home. They’re promised priority service. And they should get it. Service agreement owners should get priority over any other customers with similar revenue potential. Put Call A ahead of all non-service agreement calls on systems less than ten years old, but not ahead of Call B. Create a priority board or rating system to aid dispatchers in prioritizing calls in such as manner that you will maximize revenue, resulting in the highest per call average. Jason Sadler came up with the idea of renting himself for part of his living. No, he's not renting himself in that kind of way. Pay the guy between $1 and $365 and he'll wear your t-shirt for a day. Jason's rental space sells out months in advance. Jason's not simply wearing your shirt. He makes videos about wearing your shirt for YouTube and Ustream.tv. He's takes pictures wearing your shirt for his blog and Flickr. He posts on this blog and Twitter. He plugs your company in the blog and on his calendar. Okay, so it's more than wearing your shirt and slouching around the house. Still, why pay someone to wear your shirt? Why not simply give your shirts to customers and prospects? They'll wear them for free. When my wife was interviewing orthodontists, one of them gave my daughter a t-shirt. While we didn't select the orthodontist who gave Mackenzie the t-shirt, she wore it for several years. This is the equivalent of a homeowner selecting a different air conditioning contractor for a replacement, but allowing you to put a yard sign in the front yard one day a month for the next two years. 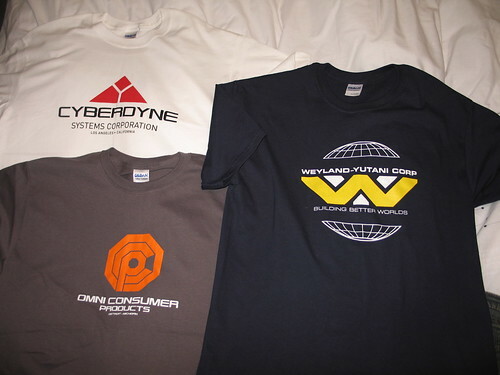 T-shirts are inexpensive giveaway items that help market your company. Why not give them away left and right? By the way, come to the Service Roundtable's hospitality party at Comfortech and pick up one of our famous party t-shirts, while they last. We're also giving away a music CD you won't get anywhere else. So yesterday I talked about A-abc's most successful sales letter--the free Infiltrometer analysis. Today I'll talk about our worst--the video duct cleaning letter. When we first saw the video duct cleaning machine, it seemed like a great idea. We loved the fact that we could prove the results of our cleaning. Our clients loved it too. We sold a bunch of jobs, but not because of this letter. Before sending out this piece, everyone who read it thought it was a winner. Not just based on that reading, but based on a comparison to other successful letters we had written, and other offers we ran for video duct cleaning. It incorporated a lot of the things we had done before, so there was good reason to think it would be successful. We sent out a test mailing (which we always did, even if we thought it was perfect) and when the results came in, we were once again astounded. It had a 0% response. That's right, nobody called. You would think we would have destroyed every copy of this letter as quickly as possible. We may have tried, but at least one survived, and it's included below. Luckily, we had only sent it to a test of 1,000, so our loss wasn't great. Although testing was sometimes frustrating and time-consuming, it proved prudent on more than one occasion. If there's one thing I know about advertising, it's that NOBODY knows what will work. You have to take the time to test your ads. Normally we would change up the letter and send it again. I don't think we ever sent another letter for video duct cleaning though. Not because of the lack of success we had with our test, but because the video duct cleaning machine kept breaking down. We had to abandon that technology. Fred's a crack plumber, but his plumbing company is second tier. Yet, he aspires for the recognition that comes with tier one status, and so do six of his competitors. The local paper considers Fred's chance to join one of the tier one companies slim at best. "Imagine Pop Warner football players trying to move up to the NFL," wrote the plumbing beat reporter about the prospects for Fred and the other six second tier plumbing companies to join the tier one companies. While Fred works towards tier one status, it doesn't dominate his life. After all, he's still got a business to run. He's got to recruit and train plumbers to help elevate his game. He's got to attract customers. Among other duties, Fred's service manager, George is tasked with training. George is an innovative guy. He came up with an innovative way to provide training with less effort and little or no cost. George's idea? Let Cheap Depot do the training. Since Cheap Depot holds regular DIY classes for homeowners, George'll just slip a few of his crack crew in the classes. Not only that, Cheap Depot sells a few plumbing items at prices below the supply house (as long as quality's not a huge issue and internal plastic components will do instead of brass). Being a self-starter, George launch's his Cheap Depot training program. Fred finds out what's going on and catches George just before he calls the local Business Journal to brag out his training innovation. Wow, what a great job. Boy-oh-boy will this help our image. We'll be seen as a conservative, prudent company. They'll have to elevate us to the top tier now. What? Are you insane? Even if you're set on trying something this lamebrained, don't tell anyone. Do you think this is how a top tier plumbing company performs? Do you think the top tier plumbers use Cheap Depot training? My guess is Fred chooses the second option. It's what anyone would do, right? Maybe a top tier company could try sliding people into a Cheap Depot class and people would applaud, calling it guerrila training. A second tier company with top tier aspirations, however, cannot appear to be pulling a second tier stunt. Using Cheap Depot for the company's training program would make the company the laughingstock of its peers. It would hamper the company's ability to recruit qualified plumbing apprentices, journeymen, and licensed master plumbers to its ranks. If that's not enough, it would also cause consumers to doubt the company's quality and skill level. Does the average consumer really want a plumber who's training comes from Cheap Depot? No one in their right mind would do something that stupid, right? Make that, no one other than a college professor. You see, this is exactly what a business professor at Texas Tech University did. Instead of keeping it quiet, the university's trumpeting its innovation. For non-Texans, Tech is one of seven tier two public universities in the Lone Star state. Texas has two tier one schools: Texas A&M and the University of Texas. Tech wants tier one status, but is like a Pop Warner player seeking to make an NFL roster according to the Dallas Morning News. So what did the professor do? He published "the first-ever graphic novel textbook on management." Think "comic book." That's right, he's teaching business students from a comic book. According to the university's website, "Students used to get detention for reading comic books in class. Now a similar format is being used as a way to engage them in learning." This may truly be an innovative approach to education, but promoting the use of comic books as the textbook for a business management course is stupid marketing. It makes the university sound like a joke, which is not the right positioning one should seek when trying to become a tier one university. Of course, the Fed's comic books are designed for kids, not college students and the 9/11 Commission Report is not in comic book form. It's a 600 page report. A couple of comic book creators, with credits "Richie Rich" and "Casper The Friendly Ghost" as credits, produced a comic book version of the 9/11 Commission Report. According to the Washington Post, "The creators say they hope their book will help attract young readers and others who might be overwhelmed by the original document." Is the Tech professor implying that Tech business students would be overwhelmed by a management textbook? I hope not, but it appears so. Certainly, Maus is an outstanding work. It helps bring home the horrors of the holocaust in a similar way that Orwell's Animal Farm taught about totalitarianism. However, it's Pulitzer was a special citation of "Letters," which is the form of Pulitzer given to Dr. Seuss. "Oh the places you'll go" with a children's book/comic book education? And is the professor really making the case that comics are suitable replacements to academic textbooks because movies were made from the Spiderman, Superman, Fantastic 4, X-Men, Captain America, DareDevil, and who knows how many other comic books? Look, Tech is a good school. I know a lot of very bright and capable graduates of Tech, but the school isn't doing past or future graduates any favors by trumpeting a comic book curriculum. Hiring authorities will have to wonder about the quality of education degreed students received from a comic book and worse, the quality and capability of students who require a comic book to learn. Maybe Harvard or Yale could pull off a comic book approach to an academic education and we would all be amazed by their innovations in matriculation. Tech cannot. When discussing the spot, the ad agency's creative director remarked, "I was just looking for something that could be dynamic. I couldn't believe it when Nissan bought it." It's no wonder he got excited. The spot generated awards for agency and earned the creative director a guest spot on Oprah. There was even talk about an animated television series based on the commercial. According to the creative director, Nissan executives instructed him, "'Let's do something different, let's break the rules.' To a creative person, that's as close to nirvana as it gets." I'd say so. It's kind of like a politician going to a town hall meeting and encountering angry grass roots protesters calling for higher personal income taxes, more debt, government expansion, and greater spending. Nissan spent over $1 million producing the spot and then made it the centerpiece of a $200 million ad campaign with placement on Seinfeld and Friends during their height and on Monday Night Football. The head of the agency said, "People don't really like car advertising. It's all the same; it's all sheet metal, features and usually some kind of deal at the end. We're changing the rules of how car advertising can be done." Yawn. Those boring calls to action. That stupid stuff that sells cars. This is post-advertising advertising. Alarm klaxons should have sounded at Nissan over the agency head's comments. Nissan did hire a marketing research company to test the spot, but the research firm asked the wrong questions. The research firm asked if people liked the spot. Of course they liked the spot. It's great. It's highly entertaining. It's also hugely ineffective. A Nissan dealer commented at the time, "Yeah, it's cute, and everyone's talking about it. It's a good talking piece when you go to a party. Otherwise, nothing's really happening. The only time a commercial gets people coming in is when you put a price in it." In other words, the commercial didn't drive people into the showroom, didn't drive leads, and didn't help increase sales. Why would it? The ad, featuring the 300Z, started running in August 1996. Nissan ceased production of the Z in 1996 and didn't resume production until the launch of the 350Z in 2002! campaign that features an obsolete product? I know Nissan's advertising the Z, but that's corporate talking. They're a little behind the times. The Z car's obsolete. Yes, I can imagine you're disappointed. But hey, I've got a great deal on a Sentra. This may be the greatest example in history of an agency run amok. The purpose of advertising is to drive sales. If you want to entertain prospects, buy movie passes. It's cheaper. Source: New York Daily News, New York Times, & eHow. Forget the title. This is an interesting presentation from Razorfish about Internet usage with breakdowns by age. It shows that traditional media is still the best way to reach the oldest Americans, but up to age 40 to 45, the Internet is dominating. The common failing of all of these research studies is the failure to consider direct marketing, like direct mail. Direct mail has much more in common with Internet marketing than television or radio. Imagine someone breaking into your company, copying every ad you've paid to have created, every management document you've authored, every direct mail letter you've penned, every form that's unique to your company, your website design, and every special nuance about your business. Then, the guy who broke into your business turns around and presents your service agreement, your advertising, and your documents to your customers... as his. Even if you would freely share all of your operations and methods with the guy, it's unnerving to see him market and sell your programs as his work product. This is plagiarism and it's a HUGE problem today. Plagiarism is too clinical a term. Face it. This is theft, pure and simple, and its perpetrators are crooks. If it happened to you, there's a chance you might go nuclear. You might send the lawyers after the culprit, regardless of the costs. But what if it happened to a friend or a peer? All you can do is stand by, helpless to assist and uncertain how much to say for fear of reverse litigation. There's something terrible happening in our beautiful corner of the Internet and I cannot stay silent about it any longer. In the past two months, two of my dear blogger friends have been ripped off. Both of them had their templates stolen. Both of them had their content stolen. One of them had her blog name stolen! (I've even heard about another woman who put a right-click lock on her site to stop the thieves!) This is crazy! There needs to be a strong code of conduct -- or a copyright lawyer who willing to fight for bloggers who want to protect their content and identities. How can we call ourselves "inspiration bloggers" when we're stealing inspiration from our colleagues? Or even from our friends? I understand Tina's position entirely. Plagiarism is a plague on the Internet, including the service trades. Unfortunately, plagiarists often get away with it when the pursuit of the plagiarist is expensive and the payoff is slim. When we hire outside copywriters at the Service Roundtable, we always check key phrases of their work products with Google. If we find a copywriter has copied the copy - and we have - that's it. We won't use the work and refuse to hire the copywriter again. I won't trust a proven thief or assume the liability of using stolen material. I've run across ad agencies executives who wrote articles where key passages or even the entire article was copied from other people. The agency executive, simply changed the author's name. This is not someone I would trust for advice, let alone to present my business's image to the world. Sadly, plagiarism also affects the service trades. Frankly, contractors are guilty of their share of plagiarism though the worst offenders usually operate out of ignorance. It's not an excuse, but at least their motives aren't larcenous. Still, ignorant or not, these contractors are exposing themselves to legal liability. Clouding the issue is the fact that some copyright owners don't care about plagiarism, don't bother to enforce their rights if they do care, or are simply not around any longer. I've created material where the copyright was assigned to another legal entity as part of a work product and the legal entity has since moved on or disappeared. There's no one to turn to for permission. Some contractors rely on third parties to provide them with original material. Like the lazy copywriter who plagiarizes, some third parties are lazy and plagiarize with purpose. The use of plagiarized material, unwitting or not, is no less of a risk. Unfortunately, it's incumbent on the business owner to check intellectual property suppliers. In short, be on guard. In the late 80's and all through the 90's, I was working with Ahron Katz at A-abc Appliance & AC in Dallas. Ahron was one of the pioneers of the service industry, and one of the first in our area to offer flat rate pricing, same day service and a 100% satisfaction guarantee -- as well as host of other unique and innovative marketing ideas. Our tagline, "The Company with the Little Red Trucks" was so effective at helping build our brand that marketing experts like Matt Michel started watching us very closely. Oh yeah, and it made us lots of money. The best response we ever had to a sales letter was a 1994 promotion for the amazing new Infiltrometer. 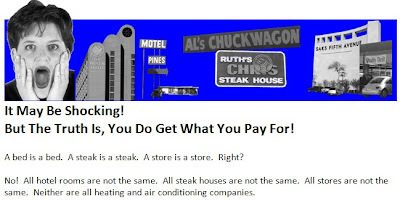 It was sent out to our HVAC Maintenance clients (Preferred Client Club Diamond Card holders). The letter drew an amazing 36% response! Of course, we were offering a very valuable, FREE service to a very hot, relatively small and trusting list, but it certainly raised the bar for all our future mailers, and led to my life-long frustration with never coming close to that number again! The letter got us in the door and our salesmen/techs did the rest. We averaged over $1,000 for every FREE call we ran (we didn't run every call we set up, for various reasons). If only our list had been bigger! We only had about 400 Diamond members at the time. The letter is included here and, as you can see, we didn't concern ourselves with keeping it short or "easy to read." In fact it broke a lot of other design "rules" too; it had an extremely long headline in sentence-case, it used a sans-serif font for the body of the letter, it made extensive use of underlining, bold and exclamation points and it was kind of cramped, especially on page 1. Despite all that, the letter worked. It worked because the reader believed what we wrote and trusted us to deliver. A lot of that was due to the ongoing effort we made throughout all our marketing to promote Ahron as THE expert in the field. It was an extremely effective strategy and I'll write more about it in future posts. Every month, Wellesley economics professor Karl Case and Yale economics professor Robert Shiller, put together a housing price index based on the home prices in 20 metropolitan areas, with a two month lag. 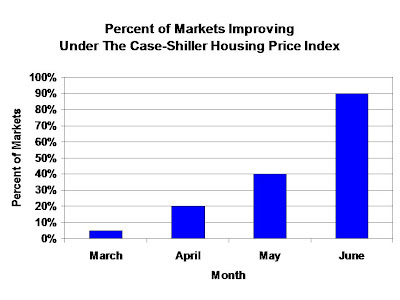 The June numbers for the Case-Shiller home price index were just released, revealing that prices improved in 18 of 20 markets! In the Spring economists expected housing prices to drop another 10%, resulting in more foreclosures, toxic assets, bank failures, etc. That's been averted. The result, according to Dr Case, is that "banks will stabilize their balance sheets more quickly. The toxic paper will get written off more quickly. That’s a big, big deal." It's a mistake to call Rudy a football movie. It's a movie about perseverance and overcoming adversity that happesn to take place in a football setting. Still, it is a football setting. The movie never fails to inspire me. If you aren't familiar with the movie, Rudy is an undersized, unathletic, dyslexic kid who dreams of playing football for Notre Dame. No one believes in him, especially not his family. Over time, however, his enthusiasm and his tenacity gradually win believers. The clip below shows Rudy during spring training, trying to walk on for a position on the scout team. Rudy makes the scout team and is eventually promised the opportunity to suit up for one game the following season. A head coaching change dashes Rudy's hopes. Approaching the final game, Rudy still hasn't made the roster. He quits. The stadium groundskeeper, Rudy's boss, gives Rudy a motivational speech in the following clip. Even the most enthusiastic, self-motivated person needs external motivation from time to time. This is why it's important to attend events like Brand U, HVAC Comfortech, and the Las Vegas Roundtable. The world beats you down, but events like these lift you up. Rudy thinks about the groundskeeper's message and returns to practice. His teammates rally to his cause, the coach relents, and Rudy leads the team on to the field. But standing on the sidelines in pads doesn't mean Rudy will be listed as a member of the team. For that, he needs to play. With time fading, the football players on the sideline start chanting Rudy's name. This is picked up by students in the stands who read a profile on Rudy in the school newspaper. In the clip below, Rudy gets his chance, with his parents, brother, and friends watching from the stands. By now, you probably realize that the most incredible aspect of the movie is that it's a true story. In the film, the real Rudy is actually sitting behind the movie Rudy's father. The next clip summarizes the entire movie in a couple of minutes. HVAC contractors might find it interesting that the film has an air conditioning connection. Alan Mintz, CEO of Energy King (formerly Buckeye Ventures) is an Associate Producer of Rudy. If you haven't seen the movie, rent a copy. It will inspire you. Think about Rudy the next time you consider giving up. Like Rudy, you're capable of more than you know and more than others believe is possible. A 58 year old man got stuck in an Australian public bathroom. He got literally stuck. Someone applied a powerful adhesive to public toilet seats and this guy sat on it. It's one of those things that's sorta funny unless you're the guy who had to go to the emergency room with a toilet seat glued to your posterior. The Australian police are not amused. "I'm disgusted that a gentleman has had to go through that because someone thinks it's funny -- it's a sick joke," one official told the Australian Associated Press. Probably not as disgusted as the hospital staff, who were tasked with deseating the victim. Fortunately industrial strength solvents solved the problem. All of this raises the question, "Don't public bathrooms down under have the sanitary toilet seat covers?" Guess not. Or, this particular shopping center in Cairns lacked them. But then, so do a lot of public restrooms, all over the world. This seems to me to be the perfect opportunity for private labeling travel packs of toilet seat covers to use as a great ad premium. Leave them with customers after service calls or scheduled maintenance. Heck, sell them! Branded travel toilet seat covers should be a perfect product for Mars or Shubee to offer plumbers. That's a hint guys. And for the Australian plumbers reading this, take advantage of the Cairns incident to issue a press release to the local media announcing your offer of free disposable travel toilet seat covers with every service call. As you get ready for the fall home shows, it's a great time to consider running an Oldest Furnace Contest or Oldest Water Heater Contest. In the early 1990s, I came up with the idea of giving away a furnace at a home show to the homeowner with the oldest furnace, provided the winner paid for the installation. When a contractor ran the oldest furnace contest, it was determined to be one of the most, if not the most successful home show promotions in the history of the HVAC industry. The simple beauty of the contest was that every lead was a qualified lead. Everyone who registered knew he had an old furnace. Everyone who registered was willing to pay something (i.e., the installation cost) if he won. So, what do you call someone who knows he's got an old furnace (possibly the oldest in the area) and is willing to spend money to get a new one installed? I call him a qualified prospect. I've presented the oldest furnace concept as part of Comanche Marketing presentations for more than a decade. HVAC contractors have run the contest for furnaces and air conditioners. Plumbing contractors have run oldest water heater contests. I packaged the necessary elements from the Service Roundtable's content library, made them available in one, easy to implement program, and decided to GIVE IT AWAY. There are no strings. There is no catch. You can download everything you need for "The Greatest Home Show Marketing Idea Ever" for free. Run you own oldest furnace contest, oldest water heater contest, oldest air conditioner contest, oldest boiler contest, or oldest thing-a-ma-bob contest. Click here to go to The Oldest Appliance Contest page on the Free Stuff section of the Service Roundtable. If you think this, you might also browse some of the other Free Stuff available from the Service Roundtable. Here's the commercial pitch... Browse around the Service Roundtable's Free Stuff section and compare the what the Service Roundtable gives away to what other groups freely give away. Think how much more must be reserved for members (hint: it's been valued at more than $3 million). If you like it, try the Service Roundtable for a month. It only costs $50 and there's no long term contract. If you don't like it, quit. I get a lot of great ideas from Juan Cardona, owner of JC Heating & Cooling in Cross Lanes, West Virginia. He's one of those guys who spills ideas without consciously realizing it. I got another today. "I really liked this," Juan wrote in Facebook about the Mabel & The Wal-Mart Greeter story. "Every employee is getting a copy of it in this week's payroll check." I often talk about seeking out large area employers for the purpose of getting a discount card or promotion stuffed in employee paychecks. After all, that's one envelope people are guaranteed to open. It never occurred to me that a contractor could use the same approach to communicate with his (or her) own employees. Take a cue from Juan. Stuff a motivational message in every paycheck at least once a month. While you could do it every week, infrequency probably increases readership. And for a lots of information to choose from, keep reading Comanche Marketing! Will People Buy Solar Clothes Dryers? Its carbon footprint is zero. It doesn't use any electricity, natural gas, fuel oil, or propane. It eliminate static cling, saving the expense of dryer sheets. It costs almost nothing to purchase. It's relatively easy to install. It requires little maintenance. It's the solar clothes dryer (i.e., the clothes line). And only the most extreme environmental zealots will willingly trade their gas or electric dryer for a clothes line. Despite the clothes line's many benefits, the clothes line falls short in one critical area. It's less convenient. It's much less convenient. Many people prefer green products and companies when all else is equal. Fewer will pay a slight premium for green products and companies without other benefits. Fewer still will pay a significant premium. The funnel narrows further when the green product or company is less convenient, no matter the costs and benefits. This is why bottle water continues to take up an entire aisle in the grocery store. It's why people drive to work rather than bike or take mass transit (mass transit's only preferred when it's more convenient). It's why people run their air conditioners when it gets hot. It still makes sense to market and sell green. 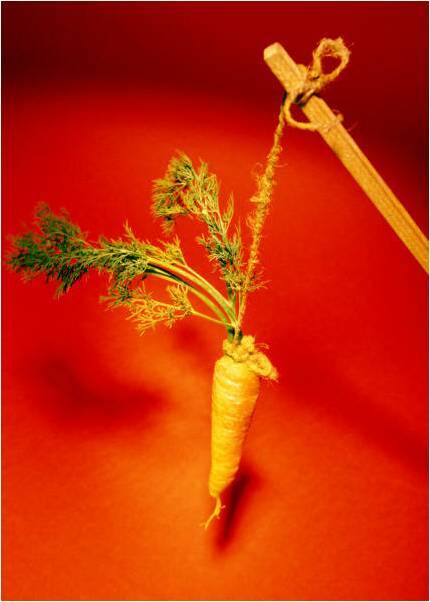 Customers want green and you should always market and sell things customers want. Duh. Just remember, most people value convenience more than they value "greenience." People may want to be environmentally responsible. A lot of people may even be willing to pay a premium to be green, but only when it's not inconvenient. I love the local Kroger. It's close enough to walk to, though I always drive. It's got great produce, dozens of cheeses, an olive bar, hard to find food from around the world, a decent selection of meat, poultry, fish, shellfish, bread, beer, and wine. The prices are competitive. The staff is mostly high school kids who are invariably pleasant, energetic, and helpful. Except for Mabel (not her real name). Mabel strikes me as... bitter. While the kids are kids, Mable is either older than I am or has lived a really hard life so that she appears older than I am. Maybe she resents having to work in a store with kids young enough to call her grandma. Who knows the reason. Or cares. The point is that in a store with great service and helpful people, Mabel is the opposite. Where the kids call someone for a price check or give the customer the benefit of the doubt, Mabel doubts the customer, even for trivial amounts. While the kids apologize for the imposition of asking for an ID when the customer writes a check, Mabel treats the mere fact that customers want to write a check as an imposition. As a shopper, Mabel makes you feel bad for shopping at Kroger and bothering her. She shows her irritation with a sneer, curl of the lip, exasperated sigh, and more. Worse than the attitude she shows customers is the potential that her attitude might infect the kids. Mabel is poison. If left in place, sooner or later she will poison someone else. Then the disease will spread and the store will suffer. The competition is waiting. Two miles to the east and two miles to the west are Tom Thumb stores, Kroger's top local competitors. Both stores have upgraded after the Kroger opened. Two miles to the north is a Sprouts, with better quality food, though less selection. The perfect contrast is the Wal-Mart on the other side of town. The great Stubie Doak relayed his experience buying groceries at Wal-Mart. Upon entering the store, Stubie grabbed a shopping cart. "I was saving that cart just for you," exclaimed the Wal-Mart greeter with a smile. "Well thank you," replied Stubie. "It's perfect." Stubie said the greeter extended his hand. Stubie shook it and the greeter said, "I bet you're the type of person who never has a bad day." Stubie said he felt great the rest of the day. In fact, he considered asking the greeter if he would adopt him. Do you have any Mabels or Wal-Mart greeters on your team? Each affects those around them. Each affects the desire of your customers to do business with you again. I was reading the Bigger Pockets blog about real estate marketing when I experienced one of those blinding flashes of the obvious. It revolves around the use of marketing on coke cans, though you might call them soda cans or pop cans, depending on where you grew up. Apparently, a baseball Mom/real estate agent attached a marketing message to soft drink cans and passed them out at ball games, generating leads. And why not? After all, Six Flags has been doing it for years. In fact, whenever I take a group of kids to the amusement park we embark on a quest for the appropriate soft drink cans to get the discount. Imagine buying soft drinks on sale, printing a discount coupon or promotion on adhesive labels, attaching the labels to soft drink cans with instructions to save the can to get the special offer, and distributing these freely at youth sporting events, outdoor events and carnivals, home and gardens shows, etc. If you're a Service Roundtable member, you won't have to imagine for long. We'll have something for you to download during the next week. Hurricane Bill fails to make landfall. "What will we report?" cried one network anchor. "The absolute lack of devastation is devasting," bemoaned another. Still, all was not lost. Up and down the Atlantic coast, reporters managed to don yellow hooded raincoats, go live from the scene, telling us they didn't know anything and telling it for hours. Meanwhile beaches along the entire Eastern Seaboard were closed just in case. Rumors that the state of Maryland was evacuated under the precautionary principle were ultimately proven false. Also false was the rumor that the president cancelled his vacation at Martha's Vineyard. He merely delayed it. When a 54 year old man washed ashore dead on a Volusia County, Florida beach, officials suspected drowning. The Captain of the local Beach Patrol believes the death was related to Hurricane Bill, stating the man "wouldn't have been out there trying to bodysurf unless the waves were really big." With 4,000 drowning deaths per year in the United States, reporters were not giving up in their attempts to assign deaths to the storm. But even though 11 Americans drown daily, news sleuths were only able to uncover two other possible storm related tragedies. A 10-year old boy nearly drowned and a toddler was in serious condition after nearly drowning. Initially, both incidences were cheerfully attributed to Hurricane Bill by the New York media. Only later, did the New York reporters discover that the near drownings were in Missouri and Arizona, respectively and that both locations were landlocked and thousands of miles from the Atlantic Ocean. "I didn't know where they were," complained on reporter. "It's not like I've ever had a reason to leave New York or anything." "I've traveled," offered a second reporter. "I've been to Jersey." A retraction was printed in 6 point type below the fold on page A26. Arguably, the two most successful government programs to stimulate economic activity have been the notorious "Cash For Clunkers" program and the first time homebuyer tax credit. The Cash For Clunkers program gave consumers a $4,500 credit towards a new car if they traded in an older vehicle with worse gas mileage. While it's idiocy along the lines of Roosevelt era farm policy that used tax money to pay farmers not to produce during a time of hungry people and high unemployment, it did prompt a reaction. According to a New York Times article, the program generated 457,000 sales in less than a month, prompting automakers to boost production and recall laid off workers. The $8,000 tax credit for first time homebuyers is also working. Writing for the AP, Alan Zibel noted, "first-time buyers are snapping up one out of every three homes." In other words, a large part of the housing rebound is directly related to the tax credit. When it ends, economists worry that the housing rebound will end with it. In Zibel's article, he quoted economist Robert Dye, who said, "I would not be at all surprised to see a dip at the end of the year once the tax credit expires." Cash For Clunkers used tax credits to encourage people to invest in new automobiles, and it works. The first time homebuyers program uses tax credits to encourage people to invest in new homes for the first time, and it works too! Do you see the similarity? Both programs use tax credits to encourage investment. Both programs work. If the government was serious about generating positive economic activity, all spending would be stripped from the stimulus bill, except for infrastructure and other capital investment spending. Instead of spending money and piling up debt, we would reduce marginal tax rates across the board, but especially corporate tax rates and capital gains to encourage investment. It works. Existing home sales continued to rebound with July posting the fourth straight monthly increase. This is a 20 minute clip from a presentation given by David Armano on 9/15/2008 at the Chicago New Media Summit 2008. Twenty minutes is a long time for a web video, so I saved this for Saturday when it's easier to carve out 20 minutes. Do you want to go outside and cut the grass or spend another 20 minutes in air conditioned comfort investing in yourself and your company? I found a number of the concepts spot on (i.e., the guy thinks believes some of the same things I do, so he must be smart). As you watch the video, think about how the concepts can be applied to your company and you, yourself. Instead of building web based brands, think of building local, community based brands. Steve Miles, at Jerry Kelly Air Conditioning in St Louis, MO raised service agreement prices $25 during a downturn. Worried about the potential for price resistance, Steve offered a “no-breakdown guarantee.” Once a Jerry Kelly technician has performed a tune-up, the company would pay the repair costs for any breakdowns through the end of air conditioning season. The customer response was immediate and dramatic. By the thousands, people loved the idea of the breakdown guarantee and gladly paid more. The guarantee is not as risky as it seems. If the technician finds deficiencies in the customer’s air conditioner, these are noted. The customer can either authorized the company to correct the deficiencies or exclude them from the guarantee. Most opt to correct the problems, which results in additional work for Jerry Kelly. Next, Jerry Kelly’s technicians are among the best in their area. They are unlikely to miss much under normal circumstances. The presence of the guarantee caused them to slow down and be even more thorough in their maintenance. Few problems, if any, were missed that jumped up and bit the company as the summer progressed. The company did have to make a number of repairs for free, but the number was insignificant financially. Think about it. With the average repair in the air conditioning industry costing consumers between $350 and $500, Jerry Kelly will make money if fewer than one system out of ten breaks down in the following season after a comprehensive tune-up is performed. Another benefit of the no-breakdown guarantee is its timing. The guarantee doesn’t take effect until the tune-up is performed. 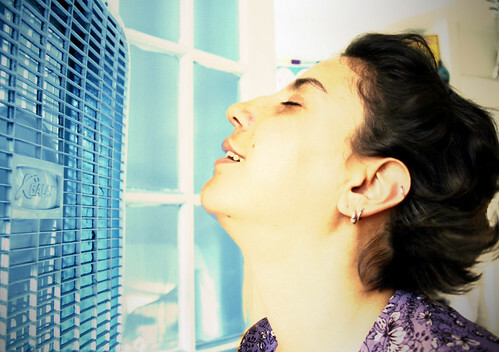 Normally, scheduling spring tune-ups is a hassle for an air conditioning company. People are busy, hard to reach, and scheduling air conditioning maintenance, even if aware of the need, is hardly top-of-the-list. The guarantee put a sense of urgency to the tune-up. The sooner the work was performed, the sooner the homeowner was covered against unpleasant repair expenses. Suddenly, homeowners were going out of their way to be available for tune-ups. The no-breakdown guarantee drops added revenue straight to the bottom line with little accompanying risk. Steve Miles is excited about the program and tells everyone who will listen how it works, including direct competitors. Yet, few contractors and no competitors offer a similar program. Their response to the risk is emotional, rather than rational. Few service company owners would send people into the field to make repairs without the proper tools and training. Yet, owners think nothing of sending service personnel into the field without sales and marketing tools and the training to use them. Create informational brochures for service personnel to hand to customers at the start of a diagnostic or service call. The brochures should inform people about products and services your company offers in a dispassionate manner. Because they are handed out at the start of a service call, they’re called “leave ahead” brochures, rather than leave behind brochures. Most service company owners would agree that the best opportunities for boosting average tickets are for field service people to sell add-on products and services during a service or maintenance call. After all, the customer’s already paid to get the truck and mechanic to the door. It costs less (or should) to sell the add-on today than a week from now. Unfortunately, most service personnel are not very good at selling add-ons. They could be, but they hesitate to tell customers about all of the wonder opportunities the company provides. The best way to keep a customer from buying a product or service is to keep the customer in the dark about its existence. This is where the leave aheads come into play. The brochures give the homeowner something to look at while the repair is performed. This can be an uncomfortable time for both homeowner and serviceperson. The homeowner is worried about the repair and cost, even if given a price upfront, and is uncomfortable with a stranger in the home. The brochure relieves anxiety by briefly focusing the homeowner’s attention away from uncertainty. The mechanic may be comfortable performing a repair, but is uncomfortable with the homeowner who follows him around. The brochure helps redirect the customer away from the mechanic so he can get his job done. Few homeowners are open to the possibilities of additional work until the current problem is addressed to their satisfaction. Once the repair is complete, the cost is known, homeowners are relieved and ready to consider other products and services. If the leave ahead brochure highlighted a problem the homeowner feels or something the homeowner desires, it’s natural to ask the serviceperson about it. The mechanic only needs to answer the homeowner’s questions honestly to sell with conviction (assuming the mechanic believes in the product or service, which is where shop training comes in). Service personnel are great answering questions and sharing expertise. Spend 50 cents per call to provide your people with leave ahead collateral that they are motivated to hand to homeowners to keep the homeowner occupied during the repair and you will invariably boost add-on sales over time. Your effectiveness will improve if you focus on one or two common issues a month, train your personnel on the products and services you offer to address the issues, train your team on the homeowner benefits from your offering, run a limited time special promotion for the month, and focus that month’s leave ahead collateral on the issue and/or your offering. A more modern version of the leave ahead is the leave ahead DVD. This offers you the opportunity to fully address an issue, such as water conservation, indoor air quality, comfort problems, carbon monoxide, termite infestations, power quality, salt water pool systems, and so on. Homeowners can better see the process and visualize the outcome when video is used. Of course, creating a DVD is more expensive than creating a 3-panel brochure. However, mass producing DVDs isn’t much more costly than printing today. And with desktop video, it’s possible to create your own videos in-house. Your risk with DIY video is the result might bore the audience to tears. For this reason, it’s often better to hire a professional. If the budget is tight, consider hiring students from the closest college. Once the DVD is mastered, it can be repurposed. The video can be uploaded to YouTube and similar sites, with links and tags pointing back to your company website. You can embed the video at your side. The DVDs can be mailed to mailed to existing customers, offered as free public relations bait pieces, played and distributed during home shows, and sent to customers in advance of a replacement or remodel sales appointment. One of the biggest reasons people fail to buy upgrades is a lack of awareness about the upgrades. Create a single page listing upgrade options for common repairs, for replacements, and for remodels. Include the features of the upgrades, the concurrent benefits, and the buyer’s investment (total and additional cost via monthly payments). 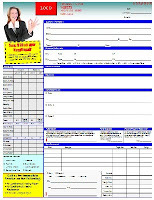 Options sheets serve three purposes. One is to inform buyers what’s available. The second is to lay out the options in an easy to understand manner. Thirty-eight percent of the population learns, at least partially, by visual means. Laying out the options so people can “look at them” improves sales. The final reason is to remind your service and sales personnel about the options. There’s a lot to think about during a sale and even the most seasoned professional will skip things every once in awhile. An options sheet helps ensure no one skips the presentation of upgrades by accident or forgetfulness. Most women can’t lift a compressor. I can’t send a woman into a bad neighborhood. I can’t send dispatch a woman at night. I can’t find women who want to work in the field. Yada, yada, yada. The truth is there are times a woman service technician or plumber or electrician might need special accommodations. Those are obstacles, not barriers. All of the reasons people give for NOT hiring a woman are trumped by the single most powerful reason FOR hiring a woman. 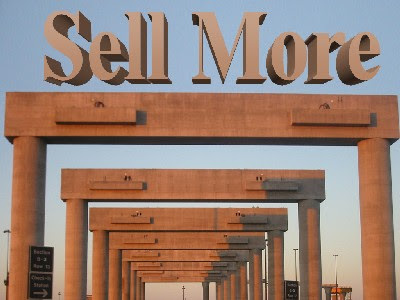 Women sell more. 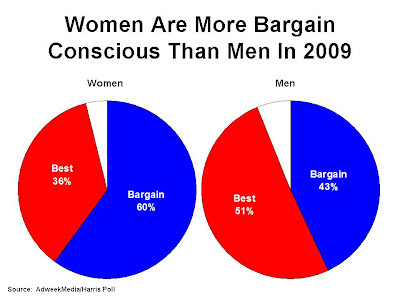 Women sell more because women are usually the decision makers for home service. Ask your call taker who phones in the most service requests, women or men. Ask your field service personnel who’s usually home on a service call, a woman or a man. Women are service decision makers and women trust other women more than men. In focus groups, women and men both say they are less likely to believe a female mechanic will take advantage of them. While the empirical research is mixed about empathy differences between genders, women are more likely to relate well to other women. Relating better translates into selling more. My personal experience from running a national franchise organization is women technicians generate higher customer satisfaction scores than men. This is consistent with Ron Smith’s experience at Modern Air Conditioning and Service America. It’s also been echoed dozens of times by contractors I’ve talked with in seminars and on the Service Roundtable. An added advantage of hiring women for the field is distinction. Because field service is male dominated, women electricians, plumbers, and technicians stand out. Hire them and your company stands out. Finally, if added sales, more satisfied customers, and more distinctive service are not reason enough to consider women for field service, hire them because there’s a shortage of skilled labor in the U.S., Canada, Australia, and the UK. We can’t whine about the shortage of skilled labor and continue to overlook slightly more than half the population. 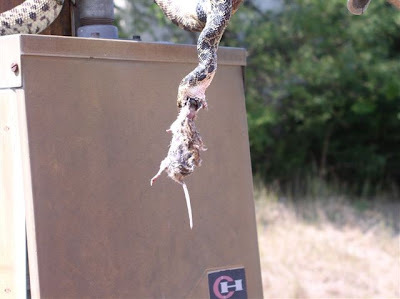 Field service personnel of all trades have plenty of stories about the unpleasant critters they encounter from time to time on service calls. Because this one includes some dramatic pictures, it's been circulated around the Internet. 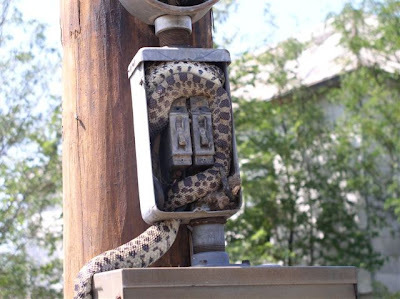 Apparently, unpleasant and dangerous critters are such as problem in some states that utilities warn homeowners to be cautious when opening breaker boxes with open access holes. 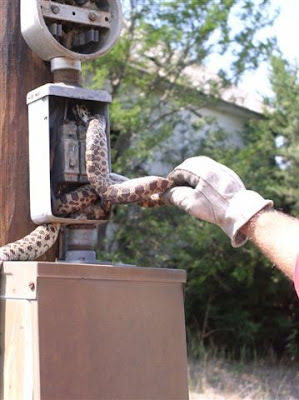 The pictures below, taken by an unknown utility linesman or electrician, illustrate what happens when a mouse scurries through a breaker box knockout hole, followed by a pursuing snake. If you look carefully in the final picture, you can see that the neither ultimately fared well. In the old Popeye cartoons, Wimpy never had enough money for a hamburger. 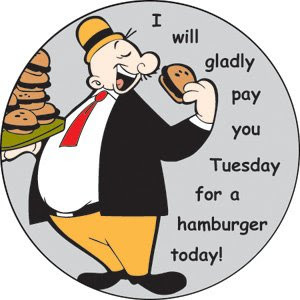 He would offer to pay for today's hamburger in the future. Wimpy was trying to negotiate the terms of a fixed price sale. It seems ridiculous when it occurs in a cartoon. It should seem just as ridiculous when your customers similarly attempt to negotiate with you. When your customer compares your price to a competitor's, is the customer comparing apples to apples or a filet mignon from a nice restaurant with the taco stand? After all, both are using beef. What's the difference? When your customer wants to throw in something for free or only pay for your hard costs, is this like a consumer asking the hair stylist to add highlights for free? After all, the direct cost of the coloring isn't much. How much of a mark up does the stylist need? When you customer wants you to cut your price, to "work with you," is this like a consumer asking the DVD store employee to cut the price of a new release by 60%? Once you offer a price, you simply cannot discount it. For years, Comfortech Idol was held as a competition between salespeople during the HVAC Comfortech Conference. Sales trainers role played as customers and a panel of judges evaluated each salesperson's performance (Greer was in the role of Simon, of course). During one Comfortech Idol, sales trainer Jim Hinshaw, played the role of customer. "Come on," said Jim, "if you can just come down another $500, I think we can do a deal." "Done," sighed the salesperson with relief that he finally closed Jim while a hundred of his peers looked on. Jim rubbed his chin. "Well, you know, if you can find $500 that easily, I'll be you can find another $250..."
Once the salesperson compromised, he acknowledged the price he quoted wasn't the real price. Now, the only question left was how far he would compromise. In truth, there will be times you will want to negotiate. You will willingly give something up to take the job. Yet, how do you do that while maintaining your credibility? 1. Discount by Addition - Don't change the price, but maybe you do throw in something extra. 2. 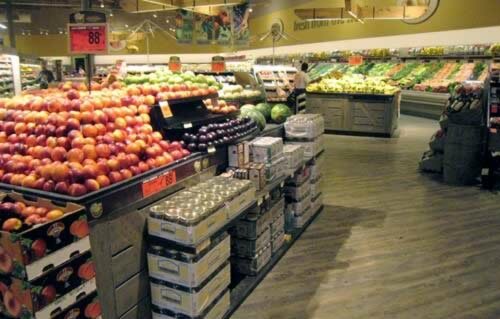 Discount by Substitution - Substitute a less expensive product, procedure, or materials. 3. 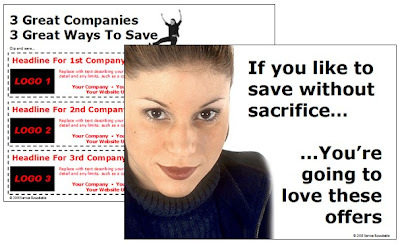 Discount by Subtraction - Cut the price, but take something away from the job to justify the cut. 4. Discount by Consideration - Cut the price, but require the customer to do something for you in return (like leave the yard sign up for six months). 5. Discount by Permission - Call someone at the office to get special permission to offer the job at a lower price (note: this won't work for the owner). These are rational ways to discount. They allow you room to move without compromising your integrity. What if you discount without a rational approach? I'm confronting that very issue from the buyer's side today. Two companies want to print a book for me. The first is a specialist in book production. The company prints lots of books, is professional, and will do a good job. The second really wants the business. I haven't met the printer, but everyone else in the company has and really likes the guy. He's local, which is a huge advantage. All things being equal, I'd give the job to the local guy everyone likes. But all things aren't equal. His initial price was 60% higher than the first company. When presented with the first company's quote, he said he'd match it. While the second guy's done good work for us, his expertise isn't book production. Aside from quality concerns, I wonder if I'll get reprints for the same price after his other, more profitable business picks up. I wonder if I'll get prompt turnaround. Here's the hole the second printer dug for himself. First, I'm nervous that he discounted 60% for this job and wonder if he'll cut corners. Or maybe, I wonder where he'll cut corners. Next, I wonder if I've overpaid for other work he's performed. After all, he just lowered his price 60%. If he'll compromise 60% on this job, maybe he'll do it on every job. While meeting the first guy's bid may or may not win the job for the second guy, it has made all of his other pricing suspect. Most of the time, you will simply want to hold your price and maintain your integrity. Sometimes this will cost you business. It's wise to continually inform your your customer base about your quality differences. 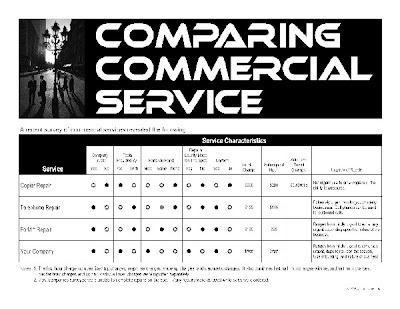 Below is the header of an email marketing piece used by the Service Roundtable(R) to highlight the vast differences in similar seeming services that result in price variation. While you shouldn't go overboard with this message, it is good to remind your customers every now and then that you truly get what you pay for. Another approach is shown below. This is another Service Roundtable example that was developed at the suggestion of Bobby Ring from Meyer & Depew for commercial service. The strategy here is to compare your service with other industries, such as copier service and forklift service. In light of what other quality service businesses from other industry's charge, your service is probably a good value. Flat rate pricing makes it easier to hold the line on prices. After all, you and the customer agree to a set price before work begins. Since you will hold that price even if the job runs long, you have every right to expect the homeowner to similarly hold up his end by paying you in full. If you charge time and materials, it's mushy to the homeowner. There's no commitment on your part, which some homeowners interpret as a call for negotiation when the final bill comes due. Are You Afraid To Let Your People Speak? Would You Buy A Webinar From This Man? What Does This Have To Do With Selling Insurance? Are we ‘Evil’ marketing people? Beach Attendance Down Due To... Air Conditioning?